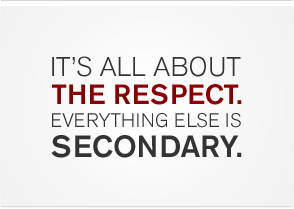 There is no doubt in my mind that the single most important factor in work, play, or life is respect. Marriage, working relationships, negotiations, sports, teaching, even basic conversation simply are always more successful by any measures if the players involved have a respect for one another. This MLK weekend I was asked to speak to a group of concerned, teachers, parents, and “civilians” at the “Green Toad Bookstore” a wonderful bookstore in Oneonta NY and co-sponsored by “Oneonta Area For Public Education” and “Oneonta Teachers Association”. What I realized just before I started my 10 minute talk was that it wasn’t a talk about public education per say, but that it was really about respect. What I realized after a two-hour discussion is that and how many of us know how this nation has lost its respect for teaching…. Not just teachers… but teaching! The most important thing I walked away from this discussion learning is that we must do what Elijah Anderson tells us. Pro pubic education advocates, especially teachers, MUST understand what Elijah Anderson calls the “code of the street” in his 1999 book of the same name. However not only must they understand how it affects kids they must learn to use it for their own benefit. We must learn to survive on the mean streets of politics, media, and “philanthropy”. What follows are excerpts from my talk and book as well as the conclusions drawn by those at the discussion. Some of my remarks come from previous posts as well as my book, so bear with me if you have seen some of this before. Recently i was at a birthday party for one of my wife’s friends. All are psychologists. I wasn’t the only spouse at this party. The others were a retired physician, a semi-retired architect, and a psychiatrist. Also at the party was the birthday “girl’s” stepdaughter from St. Louis who happened to be a former industrial psychologist. Everyone knew me and that I was a teacher except for the stepdaughter. What started as casual conversation turned to the predictable psychobabble. As usual, to break my boredom, i used humor to create a break and move the conversation in another direction. I am sure many of us have been in those kinds of situations. At dinner the conversation turned more interesting and upbeat. It included economics, history, current affairs, and sociology and as a result i was right in the middle of it. Then, while serving birthday cake, the stepdaughter decided she would compliment the groups dynamic conversation by saying, “this is such an incredible group of intellects. I wish we had some common people with ordinary intellect like,” she paused and said, “school teachers. Yes she did. The moment was filled with stunned silence as we all froze. The others looked at me waiting for the explosion. Or Taylor Mali. She did not know that I was a “school teacher with common, ordinary intellect”, and at first I thought I would take it as a compliment. However we all knew it wasn’t meant as one. I learned to respect others from my parents and from my teachers, especially one of them. After telling the story of how I felt disrespected as a first grader (although at the time I would not have said that exactly) I told an abbreviated tale of Miss Stafford, my 2nd grade teacher in 1956-7. A professor at St. John’s University for nearly forty years, she became a world renown professor and authority on learning styles and the recipient of thirty-one professional research awards. When she passed away in 2009, a third of my south Bronx, poor and working class second-grade class of 36 black, Puerto-Rican and white students were at her memorial service. Little did we know as seven-year-olds entering her class in the Bronx, that we were to become the happy guinea pigs for a life dedicated to helping children with all kinds of ‘personalities,’ as we called it then. People marvel at what Rita did for us. Most of all they marvel about how we lived and learned about civil rights by writing letters to president Eisenhower offering him suggestions about what to do about little rock, Arkansas. (We even received a reply and were quoted in the New York Times. She taught us how to respect others. For kids, respect is as important as motivation, often more so. I am not talking about their respect for teachers. They respect those who respect them. They want structure and authority. The teachers they are most successful with are those who enforce the code of the school yet, at the same time, show respect for them. They know that the best teachers understand what Elijah Anderson calls their “code of the street” in his 1999 book of the same name. Whether that street is urban, suburban, or rural, respect from their peers, who they have to live with outside of class and school, becomes critical. “Even small children test one another, pushing and shoving…ready to hit other children over matters not to their liking.” Why? To maintain respect. It is no surprise that those districts with the best success rates have “codes of the street” most similar to the codes of the school. In some schools, enough children have opted for an “oppositional” street code that it either effectively competes with, or entirely dominates, the school culture. In this setting, the best students must learn how to ‘code switch because… for many alienated young people, attending school and doing well becomes negative.” Alienated students take on the oppositional role so effectively that they often become role models for other kids,” thus gaining more respect. In this environment, peer respect is necessary for survival. Even “good kids” gain points for “going bad.” A formerly good student may stop doing homework, disobey, argue, talk back, and become more of an adversary. This process obviously has implications for teachers.” How do teachers change that behavior? How do they explain the value of the school culture? How do they inspire and motivate kids to go against the grain and maintain their place in their world, while learning the ropes of ours? Good teachers code switch regardless of where the school is located. Here is a common, good, piece of advice to new teachers. “You have to be tough and fair. If you show fear, others will exploit it. If you are unfair you will not be trusted. Too often, though, many teachers mistake being authoritarian for being tough and fairness goes out the window (as with obnoxious administrators). Thus they fail to “respect to be respected.” In that case, kids, even young ones, will take on an oppositional role, and you will have done nothing but add fuel to the fire. I learned this from the time I started teaching in 1970 at Adlai Stevenson high school in the Bronx, the staff was encouraged not only to be tough and fair, but also to become part of the fabric of our kids’ lives by getting involved in extracurricular activities and coaching. We also helped students through panic attacks. We talked them through breakups and make-ups with girlfriends and boyfriends. We helped them navigate rough waters. We tried to thwart suicide. We became part of their lives and their community. Many of us still are. We meet for reunions, dinners, and parties. We are Facebook friends. You all know that is not unusual. So in return for all that, how does the state respect teachers and teaching? We get APPR. The Annual Professional Performance Review is a return to the use of Frederick Taylor’s scientific management of the early 20th century. Then, corporate robber barons used scientific management to attempt to make their industrial factory workers more productive. Today, new robber barons pay the NYS Department of Education to turn college-educated teachers into low-level industrial employees that productively churn students out as if they were manufacturing Model T’s. Here are 3 examples of the negative effects of APPRs based on predominantly flawed data from flawed tests with manufactured cut scores. “Ninth grade algebra teachers have higher reported student scores on their regents exams than do global studies teachers and thus have better APPRBut does that mean they are better teachers? On the august 2011 integrated algebra “regents,” test results were weightedso that a student only needed to get 34% of the questions correct to pass with a 65%. On the unweighted august 2011, global history regents a student needed to get 72% of the multiple-choice questions correct plus at least 50% on the short answer and essay questions to get the same 65% passing grade.”How is that equitable? We get EngageNY, NYS’s version of the common core. The state decided that the long time, top rated, and nationally renowned teacher developed k-12 syllabi were not good enough and so created EngageNY. I respectively submit that they believe we teachers of “common and ordinary intellect” are no longer capable of curricula planning. What has this lack of respect brought? “Imagine being on the operating table when your heart surgeon discovers an unforeseen problem that, because of his experience, calls for a spontaneous change of plan, yet he doesn’t. He is afraid that deviation from the tested norm will make him lose his position.” You die on the table. NYS students are dying on the table because: teachers in NYS are afraid to do what researchers, students, parents, and administrators know is great teaching because the APPR and EngageNY have created the death of creativity and vision. NYS students are dying on the table because: APPR and EngageNY are only two pieces of the anti teaching anti public education movement. High stakes Standardized Testing, the increased numbers of Charter Schools, and anti tenure laws all originate from the same sources: the campaign contributions, lobbyists, corporations, and theoretically philanthropic foundations of today’s corporate Robber Barons. How can the public help regain respect for teaching and those who teach? They can get involved politically at all levels; local, state, and federal through voicing their opinions and voting for candidates that are pro teaching and teachers without getting caught up in red and blue debates. At the local school level they can push administrators to respect their concerns and to respect a collegial process with their teachers and unions. Finally, they can elect members of boards of education who do, or run themselves. To fight these anti teaching leaders and their allies, we have to learn how to code switch. We must street fight for our kids as well as nurture, mentor, guide, and teach them. We are disrespected the same way the many of the poor students Anderson’s wrote about are in their schools. We know how they must code switch to survive in both the school and street cultures. To survive we MUST learn from these students. If we don’t learn to code switch and street fight when we must, we are doomed not only to continue to lose respect for this proud profession, but we have sent those kids…no… we have sent all public school kids to their doom as well. Is the issue Feds vs. States? NJ parents say PARCC stinks like CCRAP! Andrew and the Magic pill: a moral dilemma! #QOTD: NJ BOE President drops bombshell!